Length Shortest to Longest Chain 15, 15.75, 16.5" 16, 16.75, 17.5" 17, 17.75, 18.5" 18, 18.75, 19.5" 19, 19.75, 20.5"
Simple modern necklace with three tiny cubes and three delicate strands of chain, pictured with Gold cubes and Black chain Three is considered to be a lucky number in Chinese culture and a spiritual number in many others, symbolizing mind body and spirit; past, present and future. 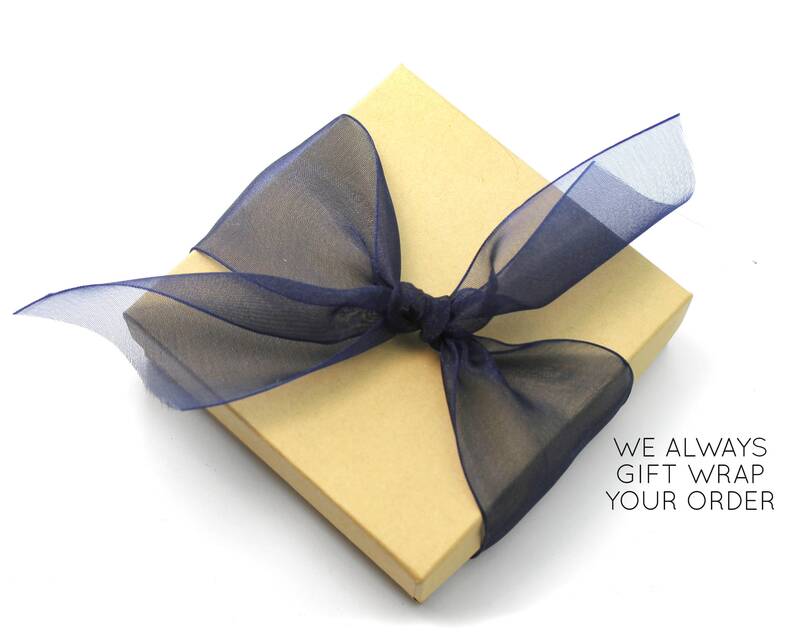 It's a great thirtieth birthday gift too! 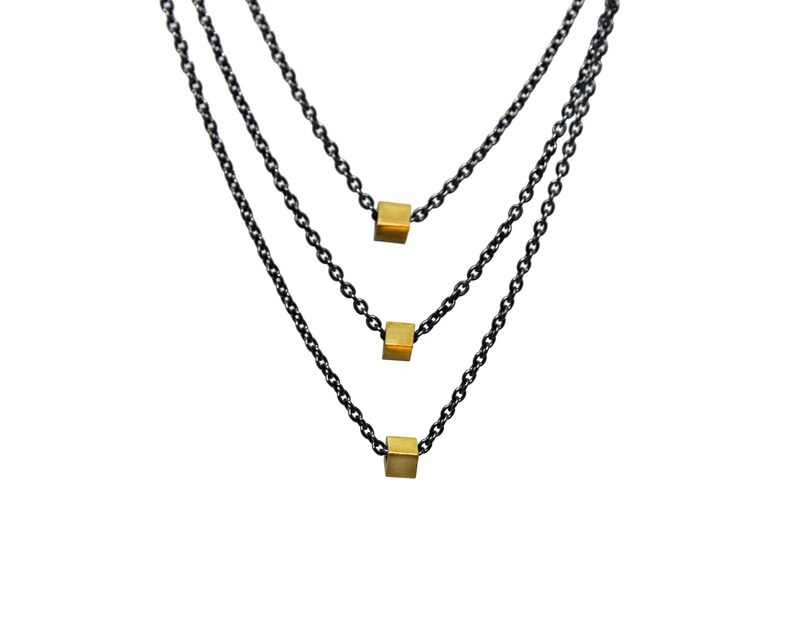 Made with Black chain and cubes, Silver chain and cubes, or any combination of the three metals. 16" shortest chain / 16.75 medium chain / 17.5" longest chain, pictured on model. Or please select your preferred lengths. 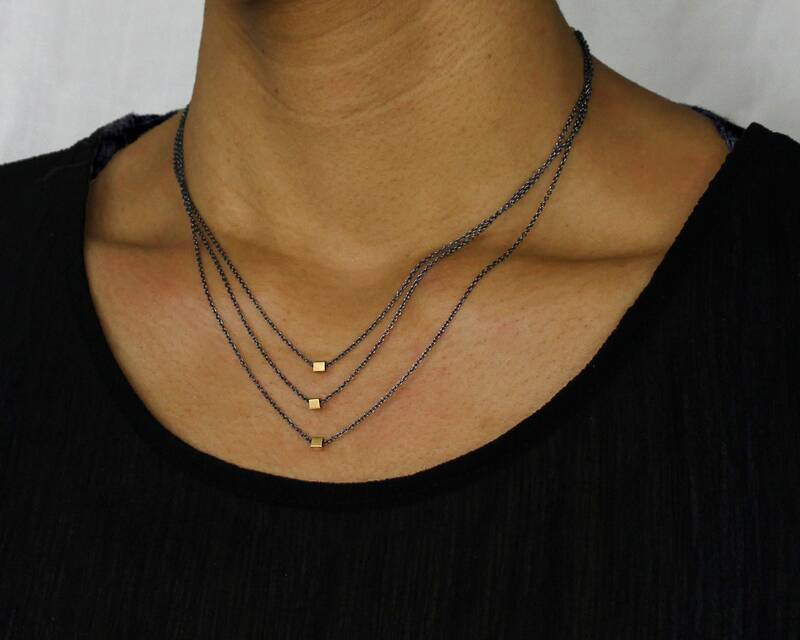 Our fully adjustable clasp necklaces include a 1" extender.